Saudi Arabia’s Crown Prince Mohamed bin Salman, nicknamed “MBS”, has been handed over temporarily the kingdom’s affairs as his father and Monarch goes on vacation in Morocco. A royal decree signed by King Salman Monday relayed by the official news agency SPA indicated that Crown Prince Mohamed bin Salman has been vested with all powers during the absence of the King. King Salman actually arrived Monday afternoon in the Moroccan northern city of Tangier for vacation. 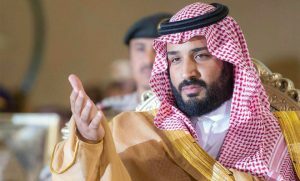 Prince Mohamed bin Salman, 32, leapfrogged to the position of Crown Prince last month after his 81-year old father edged aside his nephew Mohammed bin Nayef in favour of his son. Mohammed bin Nayef, 57, who was Crown Prince until last month, was the kingdom’s deputy Prime Minister and Minister of the interior. He was reportedly deposed over his addiction to painkillers according to official sources. 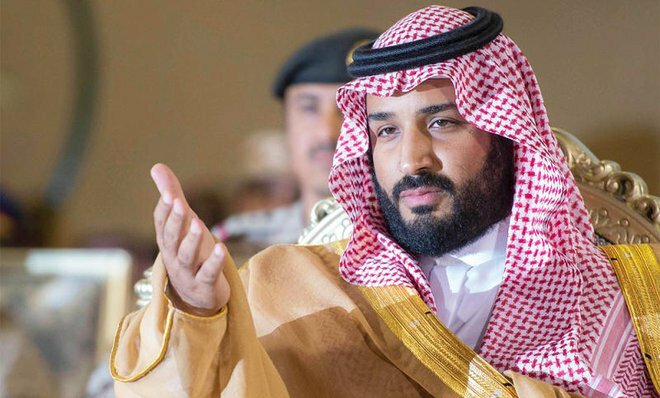 Mohamed bin Salman who also serves as minister of defense was rumoured to claim to the royal pinnacle after he was handed important roles just two years after his appointment by his father as deputy crown prince. He is taking charge of the kingdom at the time the oil-rich Gulf country leads the regional bloc isolating neighbor Qatar over its alleged support for terrorism. Crown Prince Mohamed bin Salman is close to Abu Dhabi’s Crown Prince Mohammed bin Zayed bin Sultan Al-Nahyan. The duo targets Qatar and regional rival Iran. Written by: KanelkaTagba on July 25, 2017. Posted by KanelkaTagba on Jul 25 2017. Filed under Gulf News, Headlines. You can follow any responses to this entry through the RSS 2.0. Both comments and pings are currently closed.